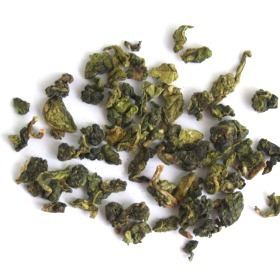 Buddha Hand Oolong Tea is one of the well known curled oolong tea. Buddha Hand Oolong Tea is now one of Yong Chuns famous tea and is known every corner of the whole. Buddha Hand Oolong Tea produces delicate, sweet fruity and flowery aroma. Delicate, sweet fruity and flowery aroma. Tightly rolled tea leaves. Produces bright yellow infusion color. These kind of oolongs are my favorite. This one is quite good, but not quite as flavorful as I normally like. If, however, you like the light, ethereal, mildly floral, pure, and very smooth oolongs, then this one is a good pick. Myself I prefer the thicker ones with a slightly stronger flavor, such as the Huang Gui. One of the worst oolongs Ive ever had -- it tasted just a bit like tea and more like cardboard. The only thing worse than this tea was the customer service that did nothing to resolve the fact that Id been sent extremely poor quality tea. @Carl: did you remove the wrapping?